Congratulations on your engagement! What an exciting time this is for both of you. At Santos VIP Limousine we understand that your wedding day is one of the most important days of your life and just like you we too want it to be absolutely perfect. With countless tasks to be arranged, wedding day limo service provided by us is one task that that will be worry-free. Our courteous, professional staff will work closely with you to provide the best wedding day limousine solution to fit your specific needs. With Santos VIP Limousine, you will not only get to the church on time but in comfort and style as well in one of our beautiful NJ – NY wedding day limousines. We have over 25 years of experience catering to the needs of wedding parties, and we would enjoy the opportunity to provide extra-special moments and memories on your big day. Personal wedding coordinator to help you plan the perfect itinerary for your wedding day. Complete assistance with the bride’s train and veil as well as fluffing out her dress before she walks down the aisle. Professional, tuxedo attired chauffeurs who are properly trained in wedding day etiquette. Complimentary bottle of champagne in the bride’s limousine. Complimentary onboard beverage service stocked with bottled water and ice. Red carpet champagne toast after the ceremony. Just Married signs placed in the back of the bride’s limousine. All of our vehicles come equipped with extra large umbrellas. In addition to our unsurpassed, award-winning service, we also offer one of the largest, most diverse selections of vintage Rolls Royce and Bentley, custom limousines and party buses in the New Jersey & New York area. Whether you choose the elegant Rolls Royce Phantom or Bentley, the elegant Chrysler 300 limo or one of our larger luxury Limo Coach Party Buses or SUV wedding limos such as the Cadillac Escalade ESV limos or Infiniti QX 80 limousine. We are sure that you will find the perfect limousine for your wedding that will match your style and budget as well. Call us at 732-596-1100 today and speak with one of our expert wedding day limousine coordinators and let us start planning your best day ever! From exquisite, high-end limousines to our limo coach party buses, our fleet includes a wide range of beautiful, stylish choices for your wedding. They were great! Arrived early to pick us up. The driver was very nice, she helped me with my dress, and when we walked out of the church after the ceremony the driver had a red carpet and champagne! This is a great company and a reasonable price. Santos was a great choice for our wedding transportation. We rented two limos for our bridal party and parents. Both were clean and the drivers were very punctual. Would definitely use Santos again, and I highly recommend them! I highly recommend them! Their customer service was probably the best I dealt with. They seem very organized and dependable which you need for your transportation. We got a 22 person party bus limo and it was very nice quality. It was on time and perfect. And they provided champagne! Santos VIP was great! My sister used them for her wedding 4 years ago and I decided to do the same. We rented a party bus to have a little more space for our wedding party and it was perfect. 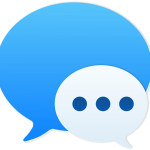 Rina was our contact throughout the whole process and was very flexible and accommodating. Rich was our driver and exceeded our expectations! He even helped with my dress right before I walked down the aisle! It’s important to have your transportation go smoothly when you’re traveling to different locations during your wedding day – and Santos VIP definitely delivered. I would recommend them to anyone in the area! THE ROAD TO HAPPILY EVER AFTER STARTS HERE. Our experienced team of wedding professionals is here to help you plan the wedding of your dreams. Just fill out the form below and one of our wedding event specialists will contact you with pricing and availability. 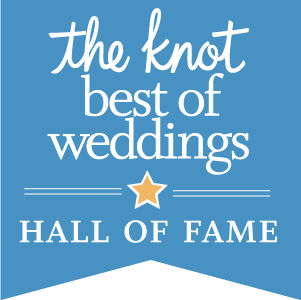 We look forward to making your wedding the best day ever! Why choose Santos VIP for your wedding? We have one of the largest, most diverse fleet of vintage cars, luxury limousines and party buses in the NJ / NY area. All of our vehicles are professionally and meticulously maintained to the highest standards, ensuring that they will arrive the day of your wedding on time and in showroom condition. We are super passionate about what we do and it shows. 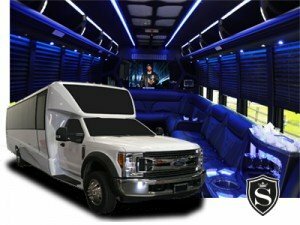 After thousands of weddings and special events, we have built a solid reputation as one of the top limousine companies in the area. 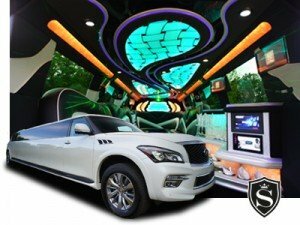 We are also the preferred limousine service at some of NJ’s top banquet facilities and the most highly reviewed limousine service on theknot.com and weddingwire.com. Rates listed below are for weddings beginning and ending in New Jersey only. For out of state pick-up’s, drop off’s and itinerary’s, please call a Santos VIP wedding coordinator for pricing. At the time of booking, a 20% service fee, fuel, and tolls (if applicable) will be added to the rates listed.